The table below lists the sectors that have historically out-performed the market in February. The following table lists the sectors that have been weak in February. 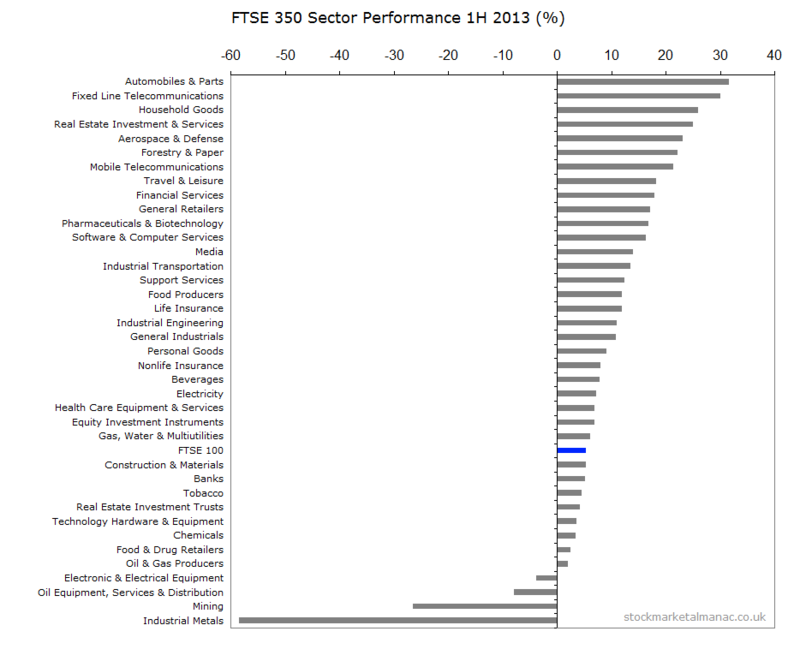 The following chart shows the performance of the FTSE 350 stock sectors in 2013. 26 of the 38 sectors out-performed the FTSE 100 Index in the year, with 24 sectors increasing over 20%. 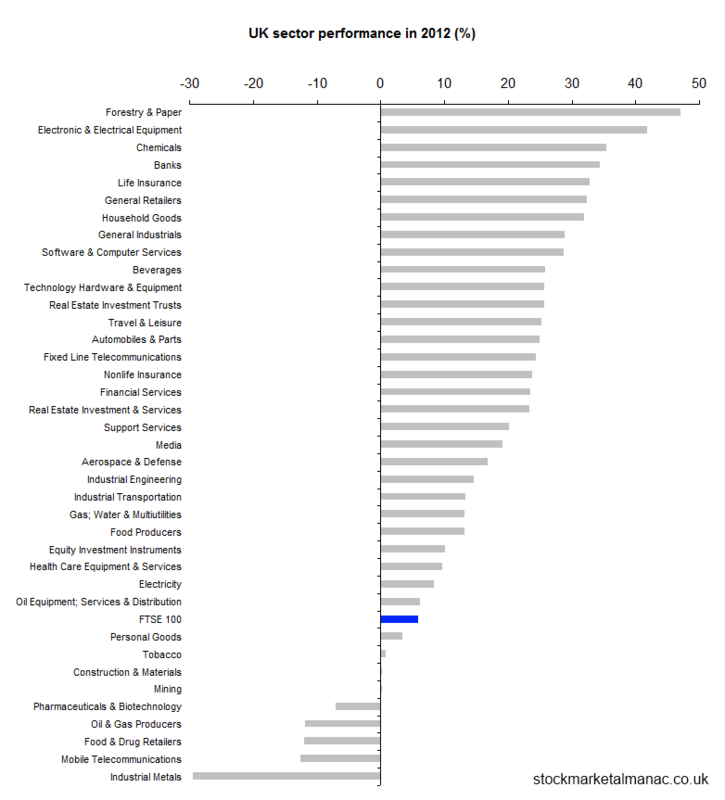 Only three sectors saw negative returns in 2013. 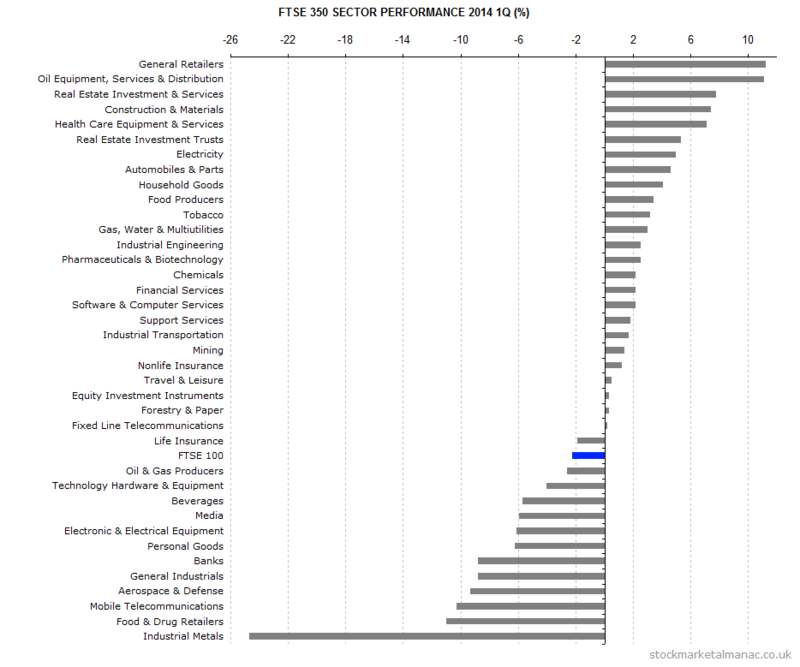 The following chart shows the performance of the FTSE 350 sectors in the first six months of 2013. 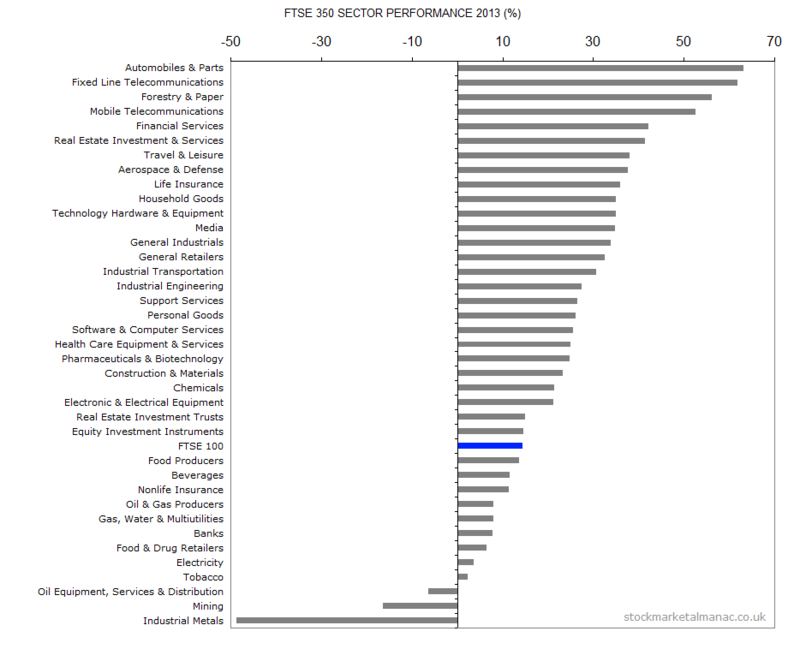 The following chart shows the performance of the FTSE 350 stock sectors in 2012. 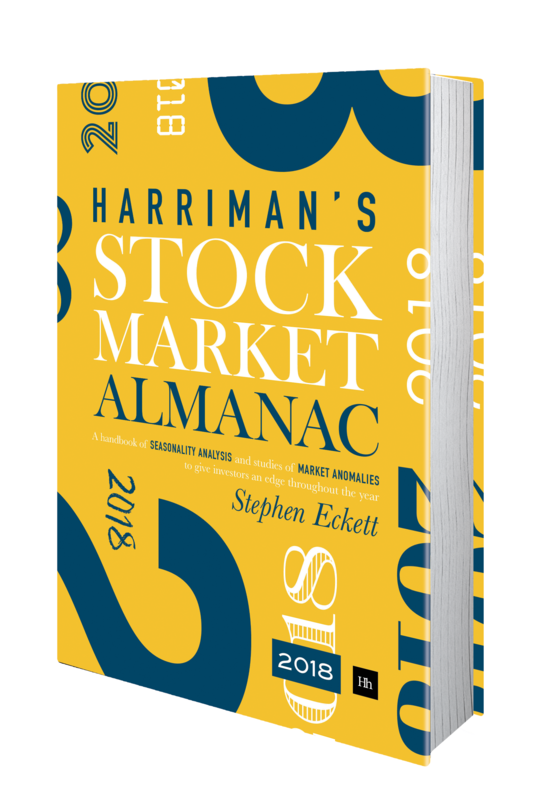 29 of the 38 sectors out-performed the FTSE 100 Index, with 26 sectors increasing over 10% in the year.